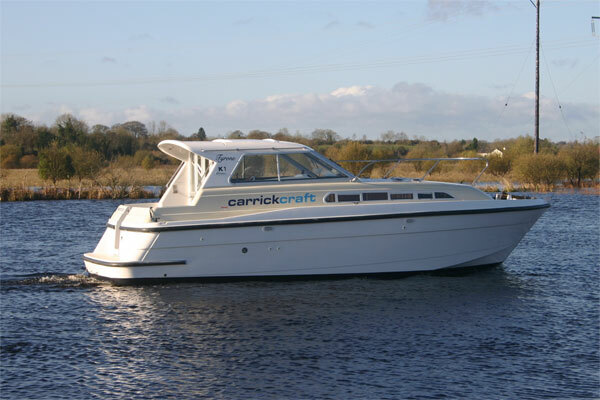 All bookings made with Carrickcraft are made subject to the following Conditions of Hire. No Agent or Employee of the Company is entitled to vary or amend them. 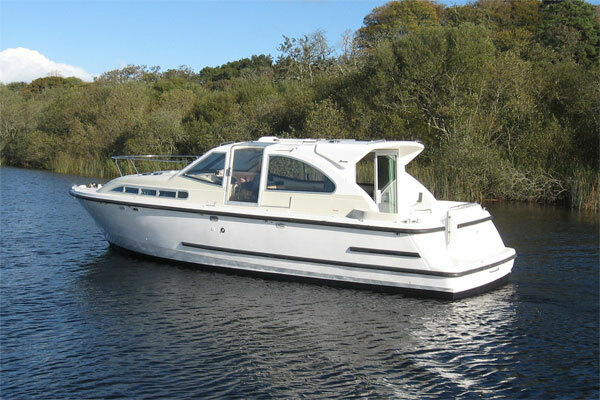 For holidays starting in Carrick-on-Shannon or Banagher, the Laws relating to this Agreement shall be the Laws of Ireland and any Contract shall be deemed to have been made at the offices of Shannon Leisure Development Company Limited at The Marina, Carrick-on-Shannon, Co. Leitrim, Ireland. For holidays starting in Bellanaleck, the Laws relating to this Agreement shall be the Laws of Northern Ireland and any Contract shall be deemed to have been made at the offices of Erne Leisure Development Company Limited at Unit 4, 3 - 9 Fairgreen Road, Markethill, Co. Armagh, N. Ireland. For the purpose of these Conditions of Hire and any Contract or Agreement the term "The Hirer" shall be taken to mean all those persons collectively making-up the Hire party and authorised by the Company to be on the cruiser whether specifically named on the Hire Invoice or not. A non-refundable deposit is required at the time of booking as specified on the Price List. A cruiser has been booked only when the deposit has reached the Company and when an Invoice stating the terms for the balance of hire has been dispatched. On payment of the deposit, the Hirer becomes responsible for the total Hire Fee which is payable not less than six weeks before commencement of hire. The credit card used to make a booking must be presented at check-in at the marina. Cancellation more than 42 days before the start of hire: the booking deposit is retained by the company. Cancellation between 41 and 29 days: the company retains the booking deposit plus 50% of the balance of the hire. Cancellation within 28 days of the start of the hire: the full amount is payable. It is recommended that hirers take out Personal Travel Insurance to include cancellation insurance. Bookings made through Travel Agents are subject to agreed travel agency procedures regarding bookings and cancellations and to all the following Conditions of Hire. This will normally be between 16.00 hrs. and 18.00 hrs on the date booked and shown on the Hire Invoice or Travel Agents Voucher. Hirers arriving at the Marina after 21.00 hrs will not be put on their cruisers until the following day unless special prior arrangements have been made. The Company will not be responsible for any unforeseen delays due to damage of incoming craft or to failure of returning clients to return their cruiser. 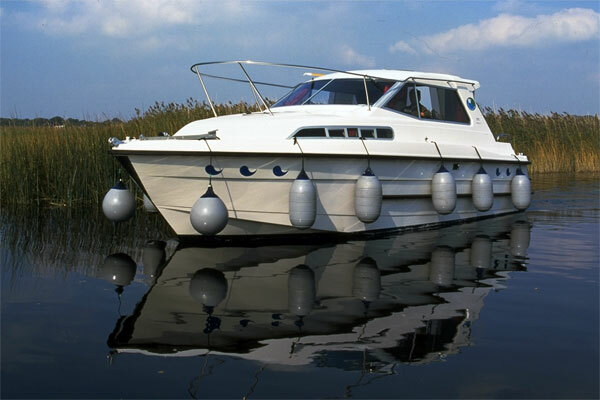 Every precaution will be taken to ensure that the booked craft is available in a fully serviceable condition but if owing to conditions and circumstances beyond the reasonable control of the Company this is not possible, then every effort will be made to supply a similar or suitable craft. Should this not be possible the deposit paid and any Hire Fee paid by the Hirer will be returned in full but the Hirer will have no claim on any account against the Company. The Company reserves the right in unfavourable weather or river conditions to substitute cruisers in the interests of safety. All craft must be returned to the originating Hire Base in a clean condition not later than 17.00 hours on the day prior or as agreed in the case of week-end or short-term hires - to enable refuelling and checking procedures to be carried out. At this time the Hire Agreement ends and under no circumstances may the cruiser be moved or driven and the Hirer is not insured to do so. 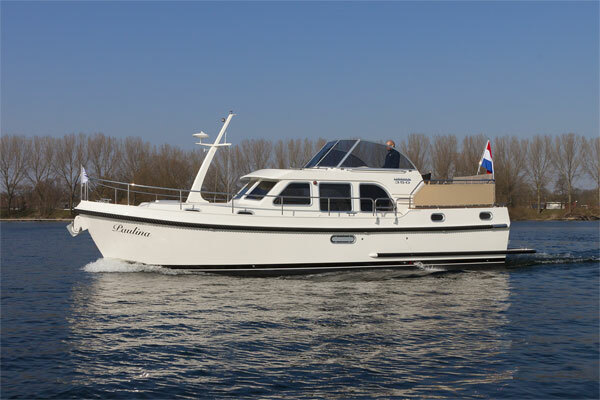 Clients may however remain on the cruiser until 10.00 hours the following day. Failure to return the cruiser on the due date will incur a charge of double the daily rate plus any other charges or incidental losses incurred by the Company. It is the responsibility of the Hirer to make any allowance for bad weather. The responsibility for connecting with Flights or any other mode of transport is strictly a matter for the Hirer. Without prejudice to this the Company, if so requested, may arrange Transfer Services to and from the Marina but cannot accept any responsibility or liability for any loss or damage suffered by the Hirers as a result of any delays. 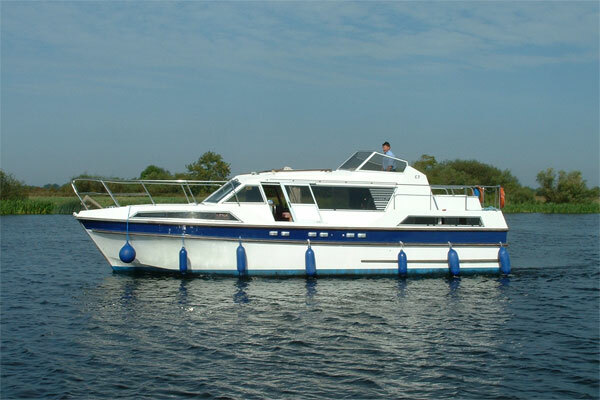 Only the stated number of Hirers as indicated on the Hire Invoice may be on board either overnight or whilst underway. Insurances are invalid if these numbers are exceeded and the Company reserves the right to terminate the Hire without refund or recompense. Cruisers may not be hired by persons under the age of 21 years. The Company reserves the right to decline a booking or to refuse to hand-over a cruiser to any person who in their opinion is not suitable to take charge on the grounds of ill-health, age, disability, inexperience or any other reason which in their opinion would lead to a serious risk of accident or damage. The company also reserves the right to terminate a hire if, in the company's opinion, the hirer or their crew are at risk of putting themselves or others in danger, or for inappropriate behaviour to the detriment of other users of the waterways. In these circumstances, no refund will be made. Every effort is made to ensure that descriptions of craft are accurate, but the Company cannot accept any responsibility for inaccuracies which may exist in its literature or in that of travel agents. Minor variations exist in craft of the same type class. The Company reserve the right to change the layout of the craft and equipment without notice. Insurance is provided for total loss or damage to the cruiser and its equipment. Third party insurance cover is also provided up to an amount of €3,174,345 but the hirer is responsible for determining if this sum is adequate and for arranging at his own cost any supplementary insurance that he considers desirable. The Hirer however is responsible for any loss or damage or any other legal liabilities arising out of deliberate acts on his part or negligent conduct. In the event of any accident or mishap the Hirer must immediately furnish the Company with full details together with the names and addresses of witnesses and the names of owners or hirers if another craft is involved. The Hirer will then be required to complete and sign an Insurance Claim Form. In particular, lost dinghies and outboard engines must be reported immediately. Failure to notify the Company of any loss, mishap or accident may invalidate this insurance. An Insurance Excess (between €850 and €2,000 depending on the class of cruiser) is payable prior to embarkation. This sum covers any contingency for diesel fuel consumed, any damage to the boat and failure to return the cruiser on time to the stipulated Marina. Hirers are specifically advised that there is no insurance cover provided for death, personal injury or loss or damage to property (including any motor vehicles parked at the Marina) under the Hire Agreement unless it is caused by the Company's negligence or wilful default. Neither is such cover provided for any Licensee or Invitee of the Hirer. Hirers are strongly advised to secure separate insurance for these risks or to arrange an appropriate all-risks extension to their existing policies. 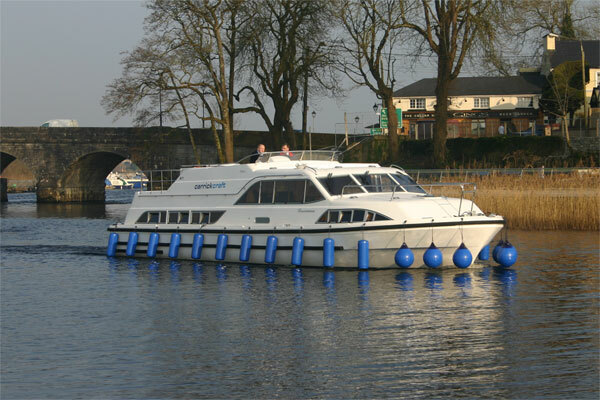 On arrival at the Marina the Hirer must produce his Hire Invoice or Agency Voucher and pay any extras or groceries. The Hirer will also pay the Insurance Excess to cover uninsured losses as detailed above. Credit Card or cash are the only acceptable forms of payment. 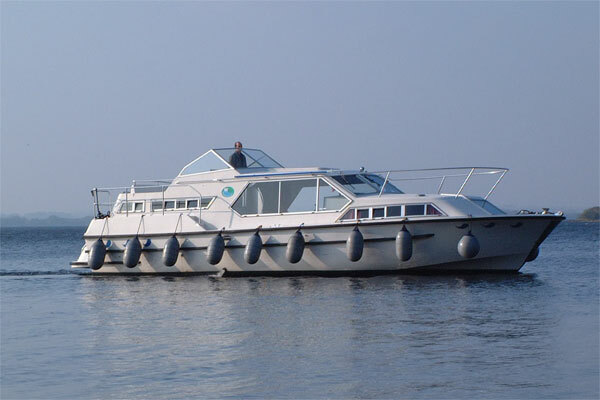 The Company will provide the Hirer with an inventory for the craft which the Hirer will check. 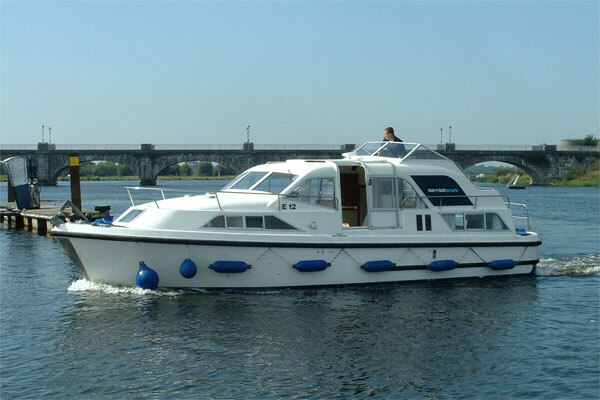 The Company will then provide basic instruction on the waterways and navigation followed by a practical demonstration of the craft to show that it is operating correctly and that it is in a clean condition. Clients will be given a trial run by a demonstrator to ensure that they are familiar with the controls. When the Hirer is satisfied with the craft he is required to sign the inventory form as a satisfaction note and the Hire commences and the Hirer becomes responsible. 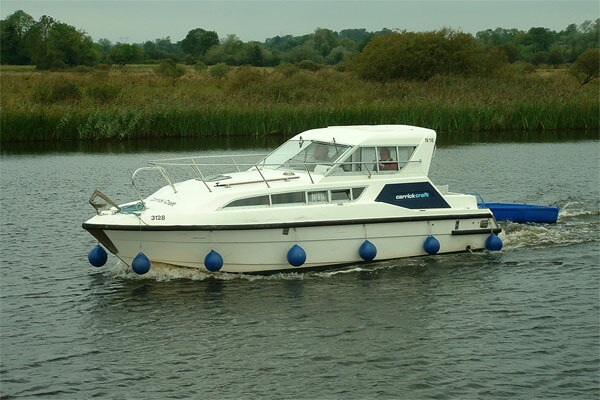 The cruisers may only be taken on the River Shannon and Lough Erne in areas and along navigation channels as marked on charts provided to each Hirer. No other charts or guides may be used for navigation. 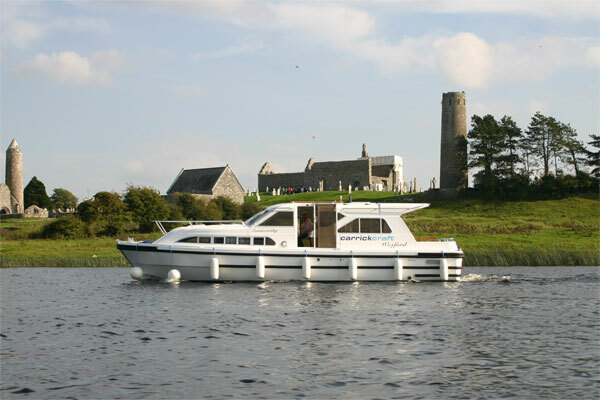 Craft may not be taken beyond the lower limit of navigation at Killaloe Bridge nor into the Grand Canal (except with permission), Camlin River, Rinn River or Barrow Navigation. Craft may not cruise after the hours of darkness and must be moored at an approved mooring overnight. The Company cannot be held liable for delays or restriction of cruising water resulting from repairs or navigational works. Additionally the Company may impose limits on navigation if, in their opinion, hazardous conditions prevail. No allowance or adjustment to tariffs will be made in these circumstances. 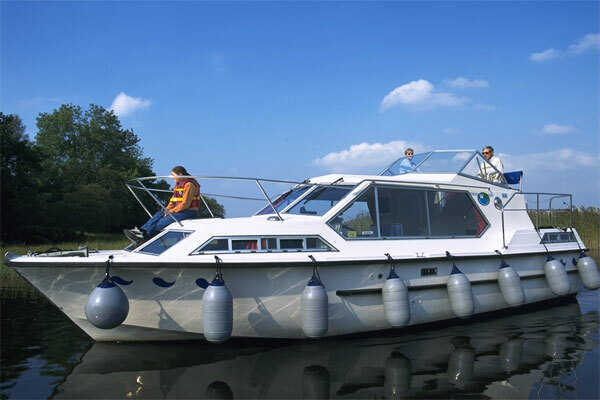 No craft may undertake towing or pulling-off of other cruisers without the specific permission of the Company. All cruisers using the Inland Waterways are subject to the bye laws and regulations of that waterway and must observe the speed limits. The Hirer is responsible for the safe navigation of the cruiser at all times and for all damage or costs or third-party claims arising out of accident or mishap from cruising outside the marked navigation channels or otherwise in breach of specific instructions. The Company accept no responsibility for changes in buoyage or navigational markings. Such information as the Company has will be passed on to Hirers. All cruisers are filled with diesel fuel prior to the hire commencing and on return will be refuelled and the Hirer charged for the cost of refilling. At this time, the Returnable Deposit will be repaid provided that no reason exists for its retention. The Company reserves the right to return these deposits by post when the return of the cruiser takes place outside the normal operating hours of the Marina. Hirers returning or leaving a cruiser at a Marina different from the one from which they started - except by prior arrangement made at the time of booking - will lose their deposit. 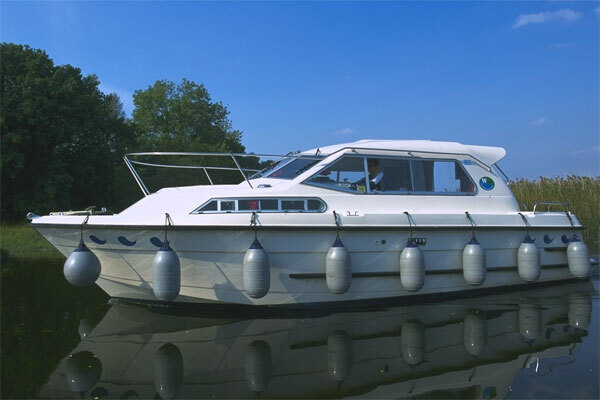 As the cruisers are self-catering accommodation it is the responsibility of the Hirer to keep them in a fit and clean condition inside and out. A cleaning charge will be made if cruisers are returned in an unfit condition. All repairs, service and maintenance are the responsibility of the Company unless made necessary by the wilful conduct or neglect of the Hirer. The Company must be notified immediately if any repairs or service are required and they may not be placed in the hands of other Firms of repairers without the specific approval of the Company. The cost of towing-off hirers from mudbanks or groundings or of slipping boats to repair damaged propellers or remove weed or of unblocking toilets or of attending to overheating problems due to ingress of weed or dirt is the responsibility of the Hirer. The Company is not liable to pay or recompense for any loss of cruising time due to breakdowns, damage or any other defects or unforeseen causes. The Hirer is required to notify the Marina Manager of any alleged shortcomings or problems with the cruiser immediately they occur when a reasonable opportunity must be given to the Company to investigate and put right any faults found. No claims can be considered in respect of such alleged shortcomings if not notified as aforesaid. Furthermore the Company will not investigate nor deal with complaints received later than four weeks after the termination of the Hire. 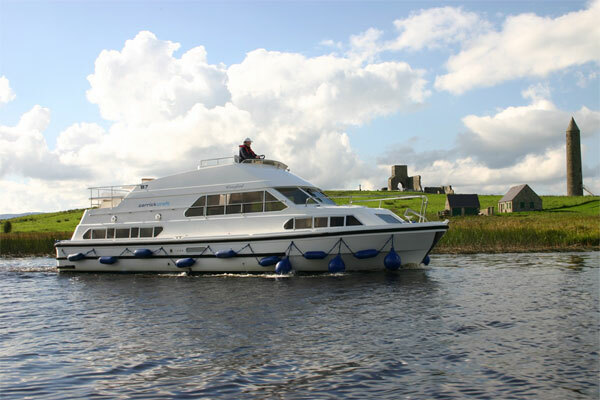 At Carrick Craft we specialise in Irish inland waterways cruising holidays and we are one of Irelands largest and most experienced cruise-hire companies. We operate an extensive fleet of fully equipped luxury cruisers designed to accommodate parties from two to eight in great comfort, style and safety. 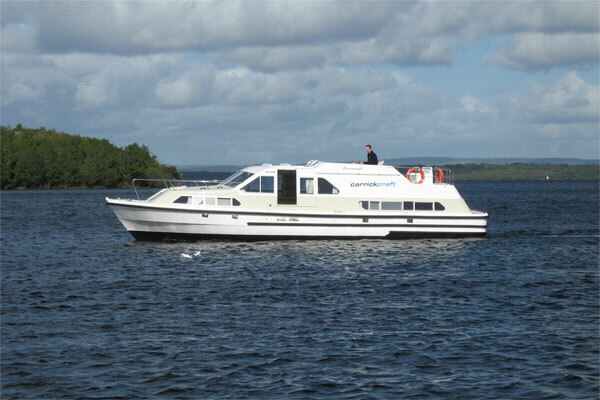 Book your boat with Shannon River for the best value. Click on any of the boats below to make an enquiry.